The water is about twice as salty as the Pacific Ocean. The ground beneath the southern end of the sea is volcanic and water bubbles to the surface in muddy pools. 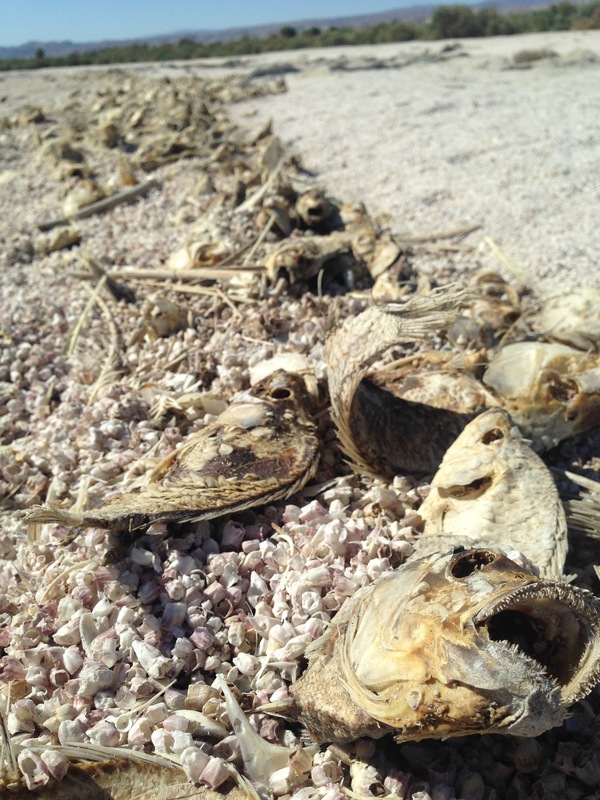 The only fish that can live in Salton Sea are tilapia, but even they struggle to survive. This sea—this gurgling, sometimes stinky, accident of a sea—is actually in danger of drying up and disappearing. And you may be thinking: “good riddance!” It doesn’t sound all that nice. But the Salton Sea needs us. And we need it. We tend to think about places and objects as either natural or unnatural. The forest is “natural.” The city is “unnatural.” But this black-and-white distinction is sometimes more gray than we realize. Some seemingly wild ecosystems are carefully managed by humans, and some urban environments are hotbeds for wildlife activity. The truth is that many places on earth are the products of a messy combination of natural and unnatural forces. Few places are messier than the Salton Sea and it raises the question: should we protect an ecosystem that’s not entirely natural? 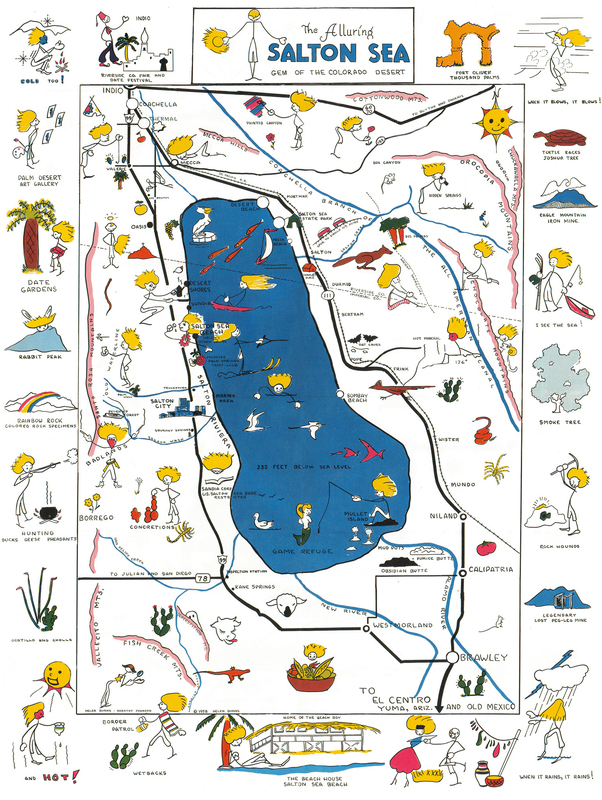 The Salton Sink has not always been full of water, but it hasn’t always been empty either. Over centuries the meandering Colorado River would periodically flow into the sink and fill it with water. But over time, that water would dry up. This cycle repeated itself every four to five hundred years. 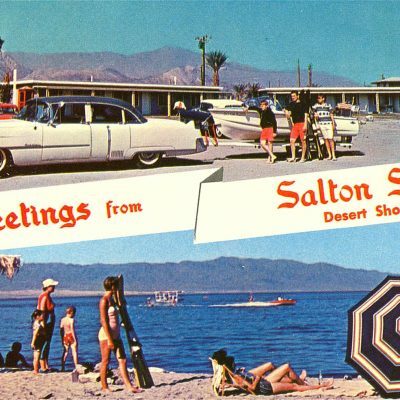 When white settlers showed up at the Salton Sink in the late 1800s, there was no sea at all, just a parched basin 270 feet below sea level in places. In the early 1900s, frontier developers realized that if they brought in water from the Colorado river they could grow crops throughout the year under the desert sun. 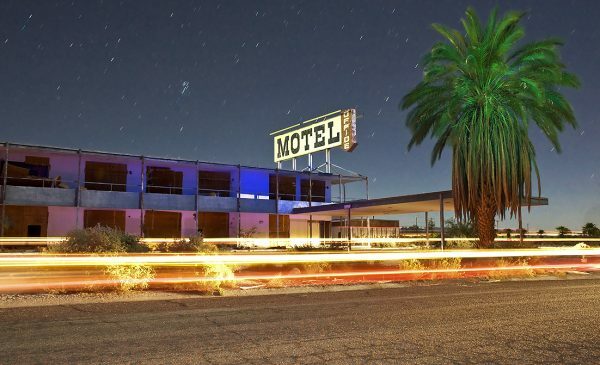 They rebranded the Salt Sink as the “Imperial Valley,” and a booming agricultural industry got underway. 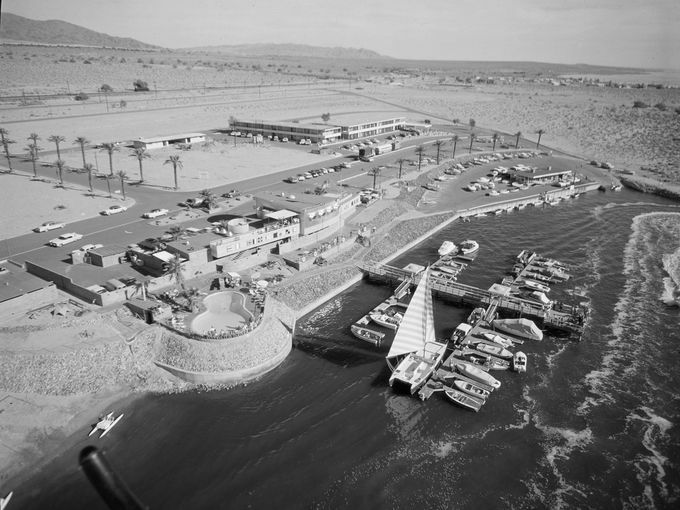 The developers began bringing water by canal from the Colorado River. But in 1905, a late spring flood poured over the dikes of one of the canals and into the sink, destroying farms and homes. It took more than a year to repair the damage, and in the meantime water had filled up the Salton Sink. Suddenly there was a massive lake in the middle of the desert: the Salton Sea. 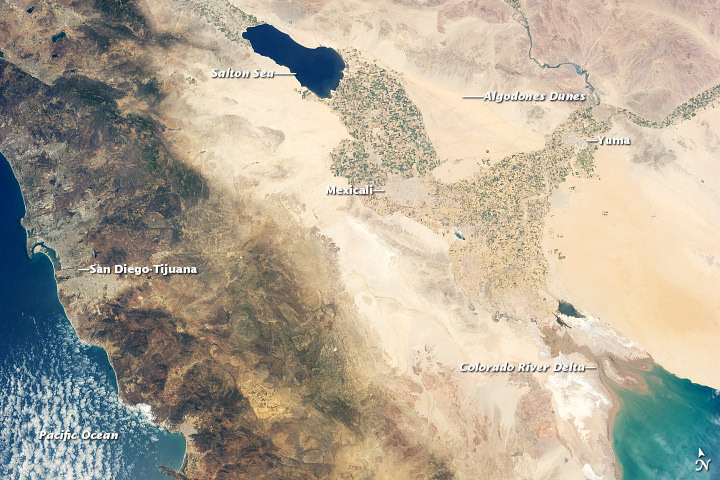 Most people assumed this new sea would soon dry up like a puddle of water on a hot day, but agricultural runoff from irrigation in the Imperial Valley kept this from happening. By the 1950s, a new round of developers saw a chance to turn the sea into a playground for Los Angeles weekenders. They called it “The California Riviera.” The California Department of Fish and Game stocked the sea with fish and worked with scientists to design an ecosystem that could handle year-round sport fishing. But the good life in the sun didn’t last long. It turns out the sea wasn’t as stable as it had looked. In the 1970s and 80s floods knocked out infrastructure along the shoreline and owners decided not to rebuild. And there was an even more threatening problem: salinity. 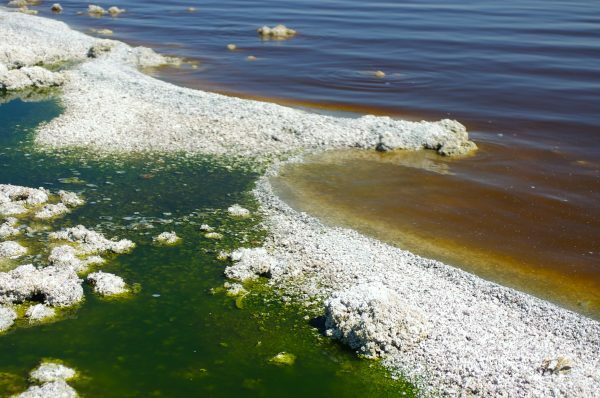 The water entering the Salton Sea picks up salts from the soils, and those salts have nowhere to go. 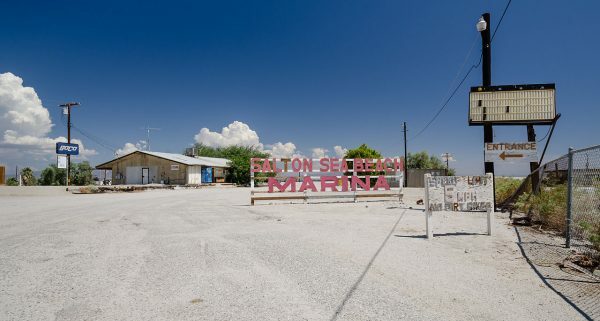 The Salton Sea is a closed body of water, and the only way it leaves is through evaporation. 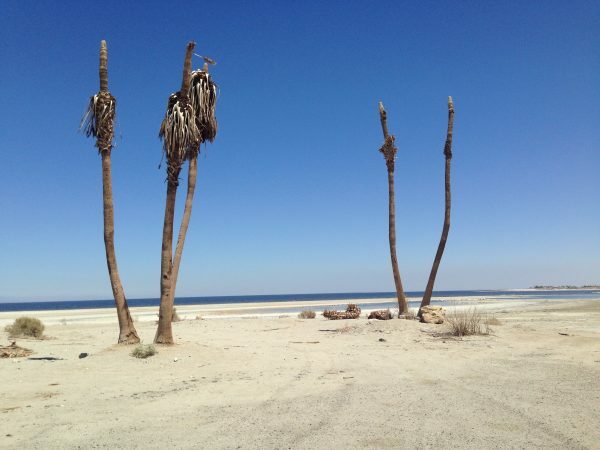 As the water evaporates, the salts stay, and so every year the Salton Sea gets saltier. Fish began to die off and many of the tourists stopped coming. 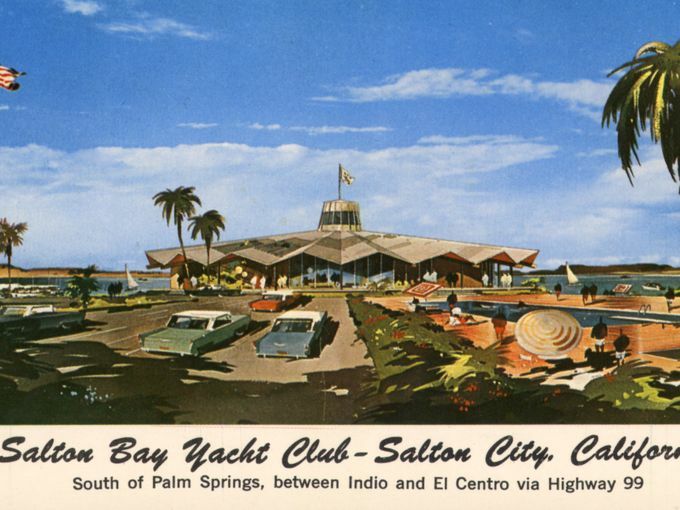 By the 1980s the dream of the California Riviera was coming to an end. By 1995, the sea had begun to dry up as nearby farms started using water more efficiently and creating less run-off. Then, in 2003, the water district in the Imperial Valley sold off rights to a lot of their water to cities like San Diego. Some farmers in the area had to let their fields go fallow, and with less water draining out of farms, there was less water going into the sea. 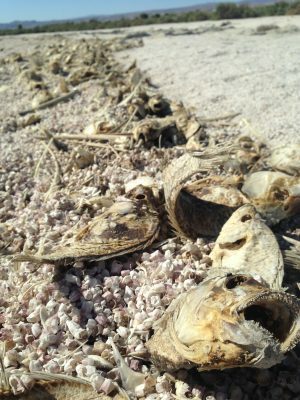 As the Salton Sea has shrunk, environmental problems have accelerated. Over the years, the Salton Sea has become a crucial stopover for migrating birds—as the sea dries up, they lose their habitat. The shrinking Salton Sea also threatens human health. As the water recedes it exposes a dry lakebed made up of tiny dust particles than can cause respiratory diseases like asthma. 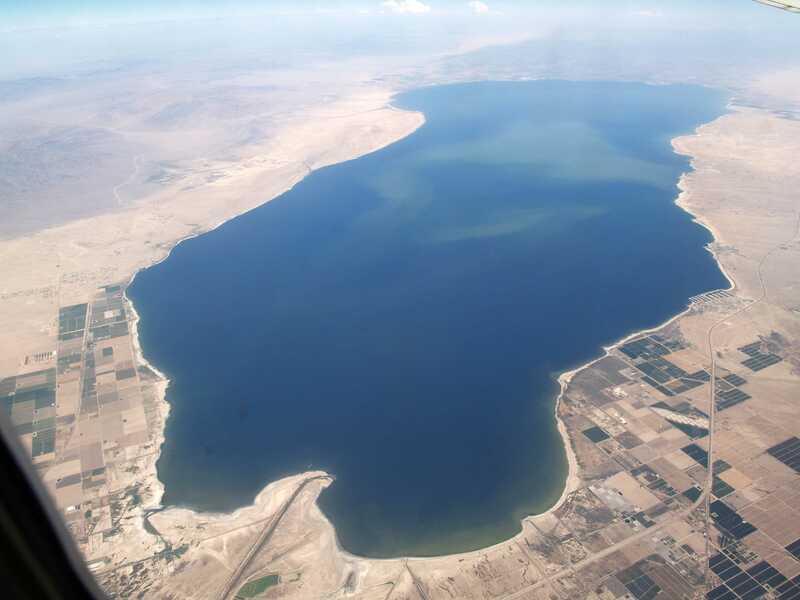 The Pacific Institute, a water think tank, estimates the cost of doing nothing to restore the Salton Sea could be as high as 70 billion dollars over the next 30 years. 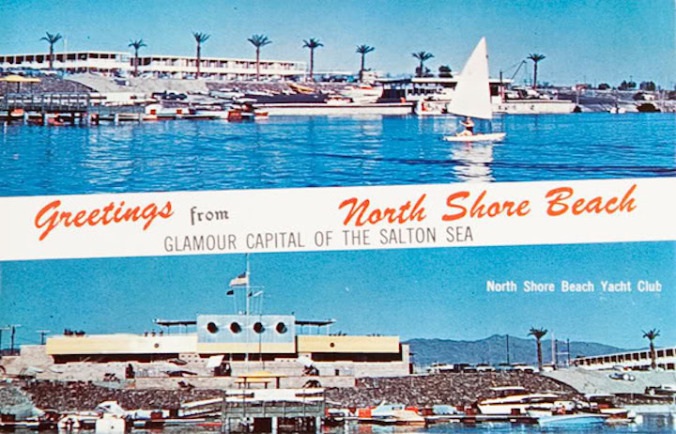 Saving the Salton Sea has not generated a lot of public support, even among environmentalists. In part this is because people have a hard time getting excited about protecting a resource they don’t see as natural. This year California did approve 80 million dollars to design ways to keep the dust down and the birds coming back, primarily by building artificial wetlands. But it will cost much more than that to actually implement the plan. Planning an ecosystem runs counter to the idea that nature knows best. For a lot of habitats, the best approach is indeed to keep humans as far away from the “natural” landscape as possible. 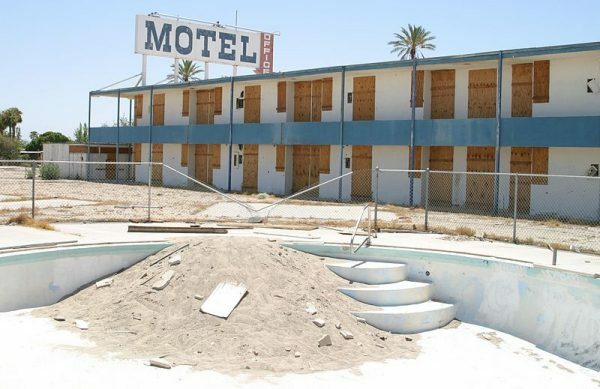 But it’s too late for that when it comes to the Salton Sea. Humans have transformed this landscape, and now they must step in and manage it. 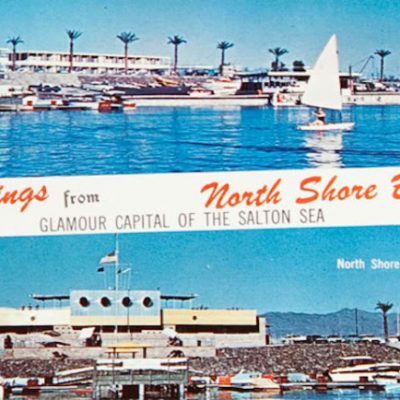 Reporter Emmett Fitzgerald spoke with local Salton Sea historian Pat Laflin; Steve Horvitz, a retired ranger with the California State Parks system; and Bruce Wilcox, assistant secretary for the California Natural Resource Agency in charge of Salton Sea Policy. There’s a great documentary on this subject called “Plagues & Pleasures on the Salton Sea” that came out a few years ago, narrated by John Waters. It delves into the history and the lives of the somewhat odd characters who still live there. 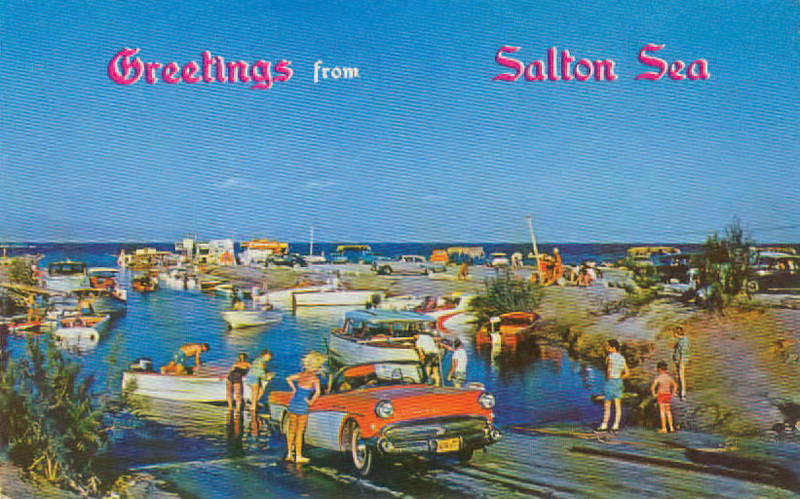 I’m trying to find a charity that specifically supports Salton Sea restoration, but I’m unable to. This episode talked about bumper stickers, but you need a nonprofit before you can make bumper stickers, right? 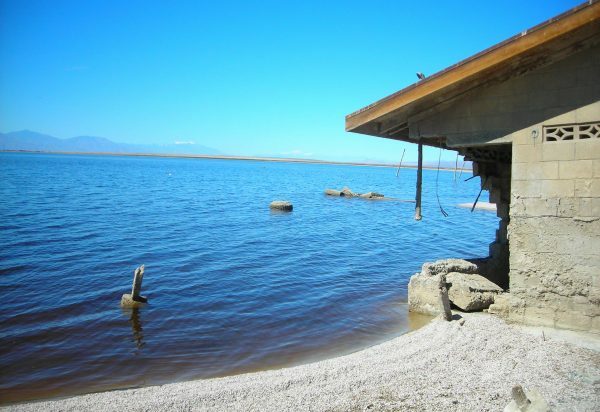 I know Audubon Society is doing some work around this, and I’ll keep researching, but if anyone knows of a foundation to help efforts to restore the Salton Sea, or wants to help me start one if we come to find there aren’t any, let me know. Love it out there – so beautifully alien, and so toxic. At times it’s hard to bear looking at it when the stench and dust are at a peak. 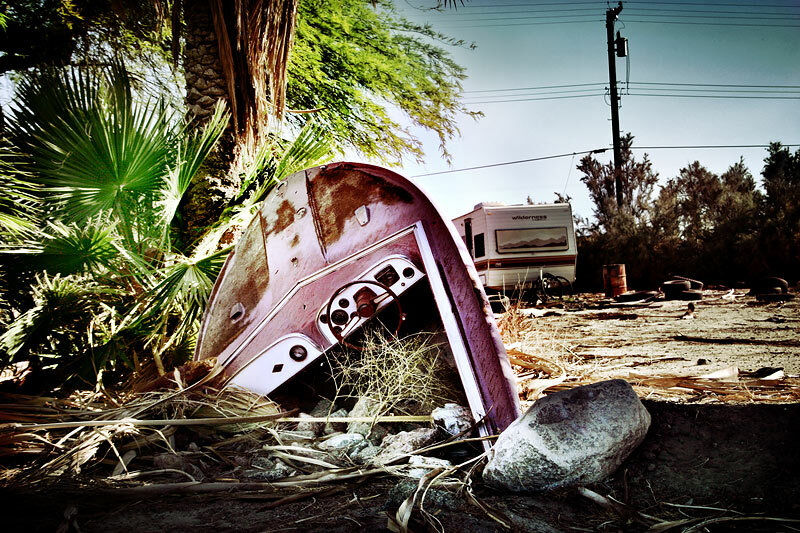 I’m glad I got to document some of it photographically – especially Bombay Beach – before they started sweeping it away. 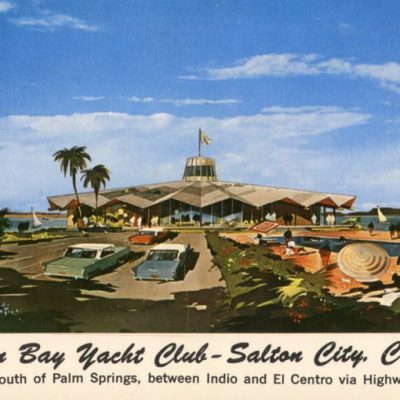 Ed Haynes did a song called the Salton Sea – here it is. There is no money to keep this toxic mess in any kind of condition for the few people who live around there. California has cut so far back on infrastructure and school spending that if one penny is spent it is too much. With the little flow for farming drying up at the end of the year due to new water sales to habitable areas near San Diego, this “sea” will be a toxic blowing sand pit in about 15 years (or less). Those that have not yet moved from the Imperial Valey – will be forced to before you know it. Permitting the Sea to dry up is myopic. Fairly often, the winds come up out of the south and will carry microscopic particles up into the noses of Palm Springs and those attending Coachella Music Festival. Not only that, but the weather will be altered south of the giant lake bed. FROST will appear in Brawley, center of a 2 Billion Dollar winter vegetable garden. Sea to Sea Solution means importing Baja seawater by dual 30″ PIPES that end up in Niland, where geothermal Desalination will take place.. Thereafter, the lake will be refreshed daily ( 24/7/365 ). The recovered salt can be mined for precious metals, then the remainder can be pressed into building bricks. 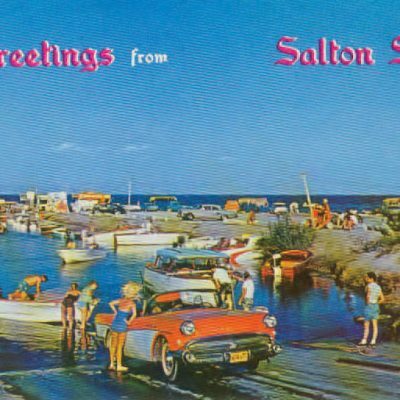 Salton sea bumper sticker- Salton sea: North American gate way for bird migration. 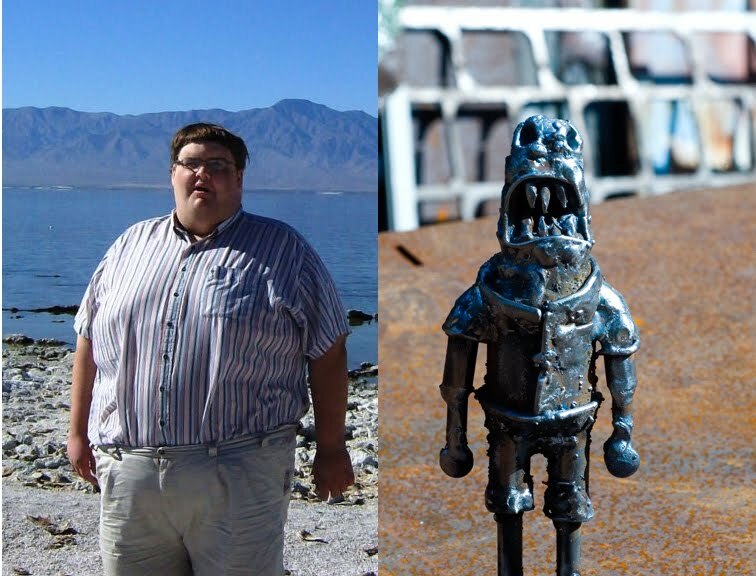 My late brother and I visited the Salton Sea a few years back. I didn’t know much about it at the time, but we had been tooling around Joshua Tree and he wanted to see it. My favorite picture of him is standing about ankle deep in fish bones, heads, bird parts etc. looking overwhelmed. I later commissioned a small statue of him as a fish monster based on that picture. Salton Sea – “To know ya is tilapia ( …and I do <3 )"
I underatand that the Salton Sea is positioned on or very near the San Andreas fault…. It is believed that the past due “Big One” can be directly attributed to the trickle of water that ultimately makes it to the Saltin Sea. Water weight…. So much water is diverted when compared to history that the “Big One” forecast calculation should have been adjusted. Having said that, i cant help thinking we risk triggering the fault. Reaseach supports this! Yet there is never a mention in the articles Ive found. These mega storms and floods are another risk not addressed. I have lost confidence in the Save the __?___ Programs that are to be corrected by unpresedented / massive corporate deals that have lettle to do with dust, birds and fish…..
Thankyou for this information. 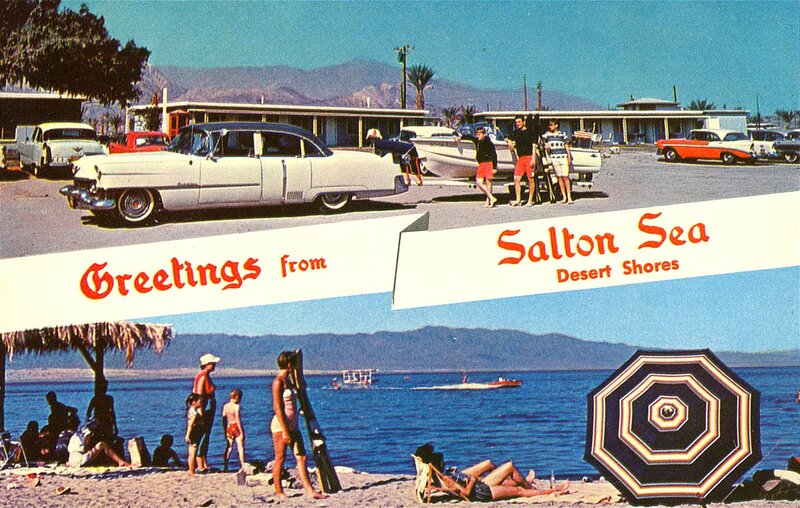 I knew nothing about the Salton Sea (not even that it existed) until this week when seismologists began to worry about activity on the San Andreas fault from Monterey to the Salton Sea. This post is really interesting and informative. I learned something new and fascinating. What’s the promotional audio from the 1950s/60s starting at 6:56? Is that from a video that’s on Youtube? I’d love to see/hear the entire original of that. Visited there when I first moved to San Diego. It looks inviting when all you see is the big blue spot on the map. We crested a hill coming into the village and my girlfriend gasped and said, “It looks like someplace you’d go to drink yourself to death.” It’s gotten much worse since then. “Tilapia? I hardly know ya” made me laugh.